Join us for a ladies event exploring all the ways women can live and give with purpose. Our three inspirational speakers will help us consider how to more consciously and ethically decide how we spend our time and money, to make a positive impact on a local and international level. More details about our speakers will be released in the next week. 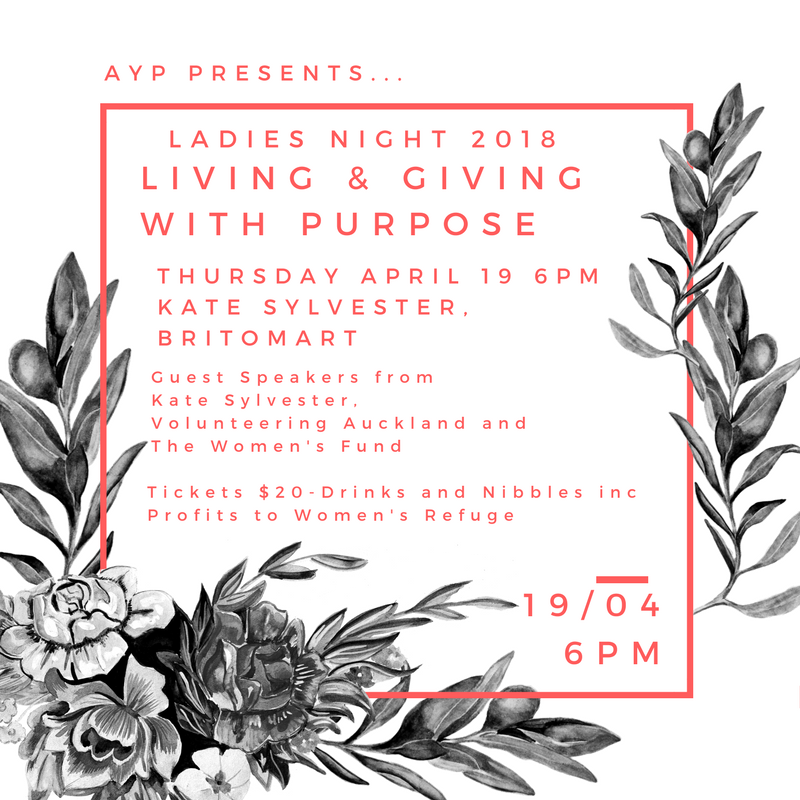 Hosted by Kate Sylvester, a selection of Phoenix Organic beverages and nibbles are included in the ticket price, with all profits to the Women’s Refuge. Tickets sold out in a day last year so get yours quick and invite other inspirational women in your life.